Oil-Electric: Shoebox #5 - Another "Upside down Aeroplane!" Southern Pacific 10, Willits California, August 1963. Well, on my list of things to do today was to start throwing out photographs and negatives and slides containing stuff that I have no idea where it was taken or why, or really bad quality. I began with that shoebox full of photos that I had purchased at Shories Bookstore in the Pike Place Market in Seattle many years ago. I’ve gone through this box several times, but today was “use it or loose it” day. There was a set of four Polaroid’s, poor quality, but representative of a instant photography long before digital. Two shots of the Skunk M-100. One exposure was overexposed, the second – fair. Oh yeah, Polaroid photography was an expensive venture. There was always the obligatory over or under exposed panel that you ate or saved! The third shot is of the Skunk and a Budd car. Budd car? The fourth photo in the series is of a Budd car. The inscription on the back was in soft pencil, but I was able to make out, SPRR #10. So I dug out my Budd roster, and discovered, low and behold, I have got yet another upside down aeroplane in my collection! This is because, despite the size of Southern Pacific’s coverage area, the road only purchased one Budd car. One! 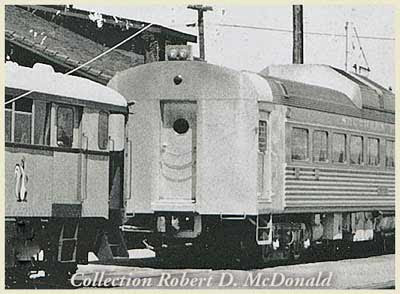 RDC-1 was purchased to run between Oakland and Sacramento, a service that continued through March 1959. 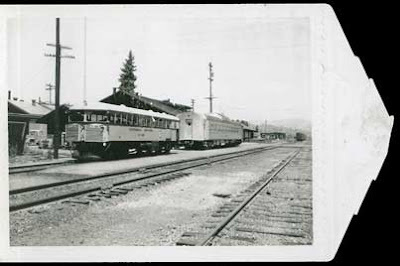 San Francisco and Eureka Railway formed by Southern Pacific Railroad in 1903 to build a connection from Willits to Eureka, forming a subsidiary, Northwestern Pacific in 1907. 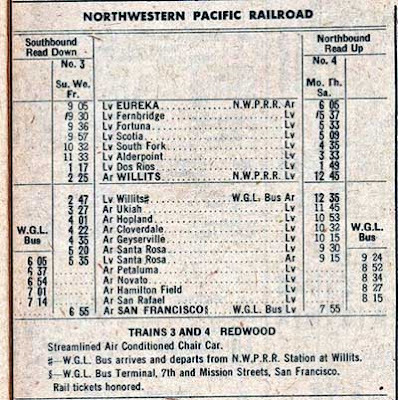 SP 10 was leased to Northwestern Pacific, running train #4 (northbound) and #3 (southbound) between Willits and Eureka, California. 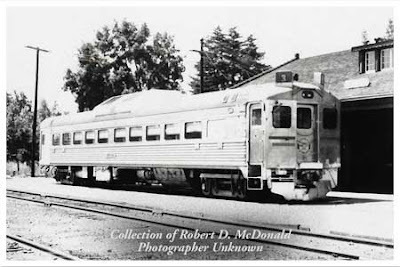 The 135 mile run, advertised as an “air conditioned streamlined car,” connected with Western Greyhound Lines running up US 101 from San Francisco. 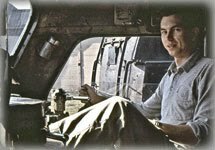 A close encounter with a truck, carrying railroad ties, ironically, demolished one control cab so badly, the decision was made to reconstruct that end as a mail and cargo compartment, thereby converting the Budd RDC-1 to a Budd RDC-1+! In this rare view, you can see the reconstruction of the former “A” end, demolished in the wreck. 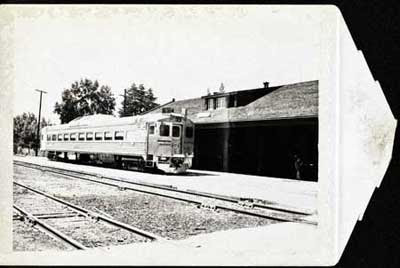 Passenger capacity was reduced from 90 to 68, but she did well until service was abandoned in 1970. 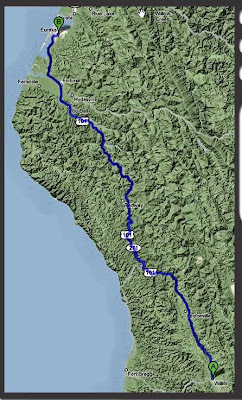 SP 10 found herself on the Oregon Pacific & Eastern south of Eugene, Oregon on I-5, where she ran until 1978. Film buffs may remember the 1973 motion picture Emperor of the North Pole, starring Lee Marvin, Ernest Borgnine “The Shack”, and Keith Carradine, filmed along the railroad's right-of-way and using some of the company's equipment. The film was released on DVD as Emperor of the North in 1985. “The Goose,” as she was affectionately known on the OP&E, was then sold to the Center for Transportation & Commerce in Galveston Texas, where she was maintained in running condition until September 2008 at the Galveston Railroad Museum. In early September 2008, the third most powerful hurricane to hit the mainland came ashore near Galveston. Among the causalities of this major storm was the Galveston Railroad Museum. I just got off the phone (Friday April 3rd) after talking to the Museum Director, Mr. Morris Gould, and it was a heart-rending conversation. The destruction of the museum was almost complete. The area was under 4’ to 13’ of filthy salt water for up to 14 hours before the storm surge receded, and that was enough to do in the locomotive collection and virtually everything else. Photographs of the extensive destruction are posted on their website. In addition to the rolling stock of cars and locomotives, dozens of displays of “O” “HO” and other collections were inundated, along with collections of books and other historical documents. Mr. Morris explained to me that the museum is working with FEMA and the Texas Historical Commission to determine what is feasible to try to salvage. On the short list is Union Pacific 410, a Fairbanks-Morse H20-44, unique in that it was the last of that model manufactured by Fairbanks-Morse in 1954. According to Mr. Morris, it cost nearly $10,000 just to clear the site of sand, silt and snakes! He personally inspected the locomotives, and found salt water in all crankcases. As for Southern Pacific 10, the “hybrid RDC-1”, her fate is as uncertain as the rest of the units. 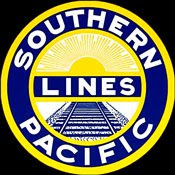 Railroad Stuff: Southern Pacific 10, built as a Budd RDC-1, March 1954, serial number 5917.